I agree with ADRossi. If Asamoah comes to Inter, and he is the decent player we have seen at Juve, Dalbert will get even less chances next season. He's already 24 years old. He needs playing time more than learning from a more experienced player. If Dalbert is good enough, he will prove himself on the pitch and get ahead of Asamoah in the pecking order. Thats how it should be at a club who have ambitions of competing for the Scudetto. We are not a nursery. Infact getting someone like Asamoah takes the pressure off Dalbert and he can take his time to learn from Asamoah's experience and grow. And if Dalbert continues to disappoint, even Santon or Dumbo will stay ahead of him in the pecking order - I much rather it be someone like Asamoah. That said, I seriously doubt Juve will let Asamoah walk away to Inter for free, specially after recent performances. I fear he will be given a new contract and there is no reason for him to prefer Inter over Juventus. According to Gazzetta dello Sport, in order to persuade Asamoah to transfer for free from Juventus, Inter has proposed to the Ghanaian midfielder a three-year €3 million per season. Napoli are also interested while juBentus are yet to make their move. It's a lot of money but at least it's 3 years and not 4. He has at least 2 solid seasons in him and 3m is not overpaying by much I guess. Yeah, that's a solid offer and unless he completely lays an egg here, it should be a good investment. Starter for free with tons of Serie A experience at the top level. CdS writes that Asamoah is a done deal. We've probably guaranteed him that he will be our starting LB when the season starts (of course up to him after that to keep the spot). And the money ain't bad either. Surely Juve could match that but not sure if they want for reserve LB. That three-year contract sounds really great. 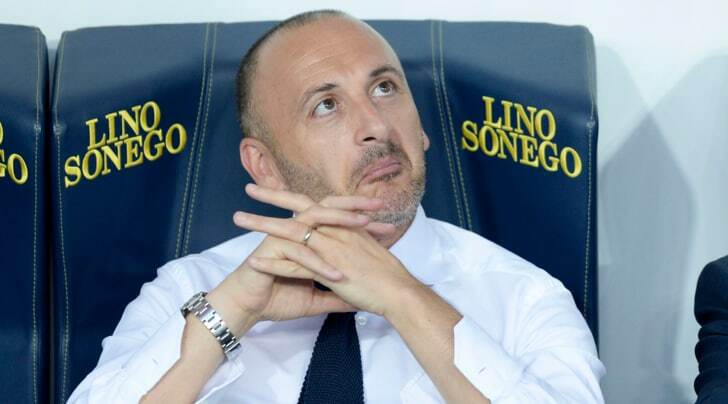 Knowing Inter, watch how he will be offered a 5 year deal after 7-8 weeks with a 4m contract.
" Hmmm... we could do that"
"I can see you`re in a great good mood after our 0-5 victory"
"Don`t worry Luciano, I`m in charge now." According to Asamoah agent, Federico Pastorello, there's a 50% chance his client will stay at Juventus. The player will make his decision after the break. Good circumstances for us. We need not decide this in hurry. However, if we get the CL spot I strongly support we get this guy immediately. Dalbert can be an option for rotation. I really want to keep Miranda one more season like first back up. and there is no reason for him to prefer Inter over Juventus. First team minutes and chance at a UCL trophy.... he won't get either at Juventus. Well, if we assume that the chance of Juve winning the UCL is equal to zero, then the chance of us winning would be a negative number. Realistically, even if we make CL this year, it'd be more probable we'll be in the EL come February than the CL given the current group seeding. Unless we get the champions of Russia, Portugal or Ukraine in our group which is also very unlikely. With our luck, we'll probably get Barcelona or PSG from pot 1. I am not worried about that. It will take a year or two to get used to that level again, that is only understandable. Playing in the CL against the likes of Real Madrid or Man Utd is where Inter belongs. We will make decent money from UEFA even if we get knocked out at group stage, plus more money from sponsorship deals. It will also make it easier to attract world class players, because these are the kind of games they want to play. I can't wait to watch Inter play midweek on CL nights, am tired of watching CL games as a neutral. Lol it took us 6 years to get back to CL with the help of an extra spot, what makes you think we will reach the level of Barca and Man City in 2 years. The level of investment in those clubs are unreal and its not something group stage money will get us there. Otherwise even the likes of Shakhtar would be that good. Playing in the CL against the likes of Real Madrid or Man Utd is where Inter belongs. We will make decent money from UEFA even if we get knocked out at group stage, plus more money from sponsorship deals. It will also make it easier to attract world class players, because these are the kind of games they want to play. This is very true. It will boost our revenues so much because also sponsorship deals will get better with the exposure of CL football. I don't think Bluenine meant we would get to their level in 2 years. But in a level where we can compete again, meaning we go through the group stage fairly consistently and have a real shot to quarter final spots. Asamoah is also offers tactical flexibility in that he can play as a LB and LWB. We saw Spalletti use a back three regularly at Roma, and this is another player who could help accomodate that here. Combine that with his experience in both Serie A and CL, not to mention representing a big club. All that for free? It's a no brainer. But very little quality as fares I'm concerned. Asamoah is a defensive central midfielder whose technical and tactics shortcomings forced him out of midfield and on to the flank where he could at least make better use of his physical attributes - his weaknesses remain.